Just like you’re successful at running a business or blog, professional web writers have a specific skill set that they have honed and perfected over the years. They write specifically for the web and know exactly how to use words to grab the attention of someone who lands on your page. Many have backgrounds in marketing or journalism, this means they have plenty of experience in writing about a diverse range of subjects. They also have impeccable spelling and grammar skills, which is crucial because mistakes can make your business look amateur. Importantly, professional content writers have been trained to use the written language to achieve a certain goal, whether that’s to sell a product or a service, or to inform, entertain or educate a reader. Being at the top of a Google search helps to showcase your product or service as an industry leader and makes customers feel you’re a trusted business. And the way to get in Google’s good books is to have a very high level of expertise, authority and trustworthiness in your content. A professional content writer has a high level of talent, skill and expertise and will use the information you give them to create content that satisfies your customers and exceeds Google’s search quality evaluator guidelines. It can be hard to ‘talk-up’ ourselves, our achievements or our business prowess – but professional writers have this down pat. They know how to promote your successes in a subtle yet effective way and aren’t afraid to showcase all your achievements – especially if they help to further cement your reputation as an industry leader. Much like it can be hard to blow our own trumpet, sometimes we’re not as objective about our business as we could be. Professional writers are experts in writing customer-focussed content, they know exactly what information to leave in and what is not necessary to include. They have an objective and sharp eye and know exactly how to highlight your product or service using keywords and appealing to certain emotions or opinions. Content writers have an uncanny ability to put themselves in the headspace of your customers and write with their needs in mind. Sure, you could write your own web or blog content, but how long would it take you and who would run your business while you did so? 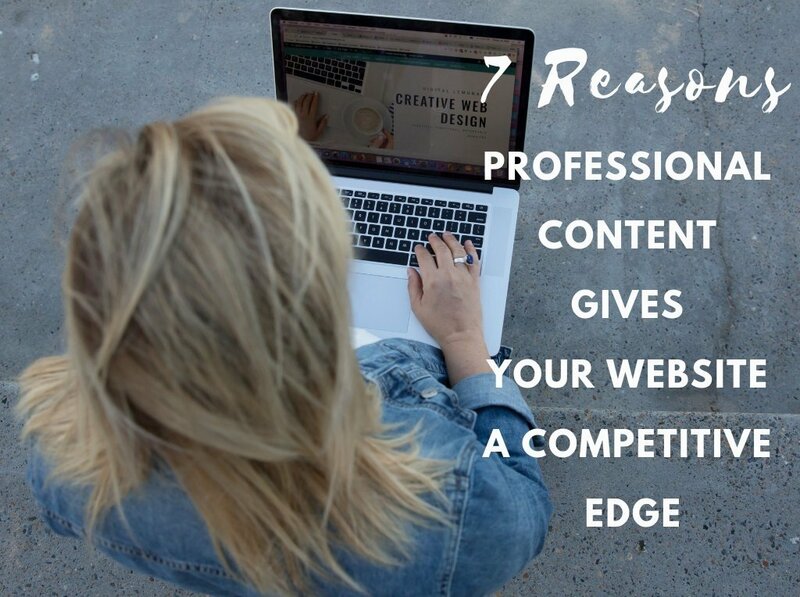 When you hire a professional website content you’re making the choice to outsource so you can spend your valuable time doing what you do best – running your business. Professional content writers are also fast because it’s what they do all day every day. They will be able to produce exceptional quality website content or blog posts in a fraction of the time a non-writer would. It’s also one less thing for you to stress or worry about, particularly when it comes to writing weekly or monthly blog posts. While having a functional and optimised website is great for SEO – so is having top-notch content that is optimised correctly. By having high quality, helpful and well-written content on your website it will help to improve your website’s ranking and in turn attract more visitors. And yes, there have been recent search engine changes, but what has stayed the same is that content is king! You will be able to tell if your competitors have wisely invested in a professional content writer because it’s likely they’ll be ranked higher in Google than you are. Take look at similar sites to yours, do they have a similar product or service to yours that appears better or more useful? If so, it’s obvious they’ve hired a professional content writer to showcase and highlight their product or service in the best possible way. On the flipside, if you do have great content then customers are more likely to choose your product over your competitors. You’ll NEVER regret a decision to have great website content that seamlessly explains the benefits you offer your customers. 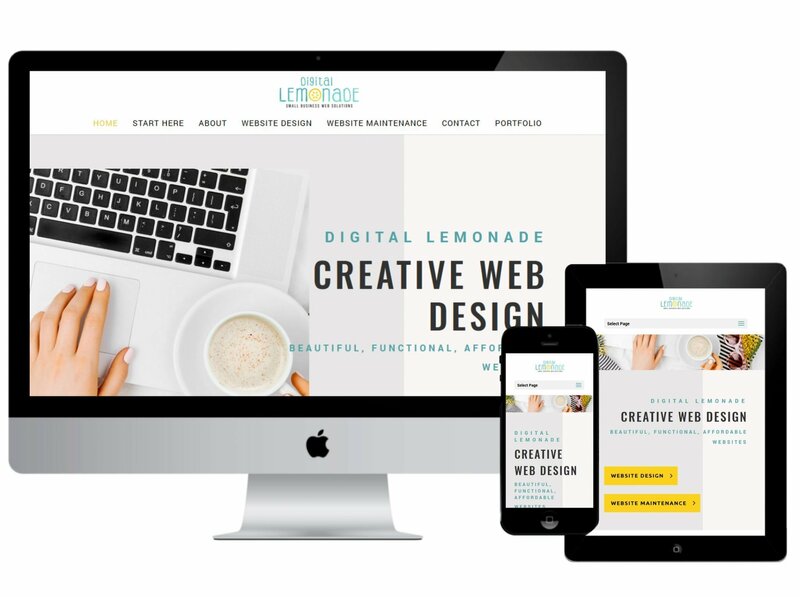 Digital Lemonade has partnered with Write Styling to offer you a full range of writing services, including website content creation, blog writing, newsletters, press releases and everything in between.